Hiking and backpacking Half Dome is a once in a life time experience. Whether you do it in a day or over a few days, it is so worth the trip. 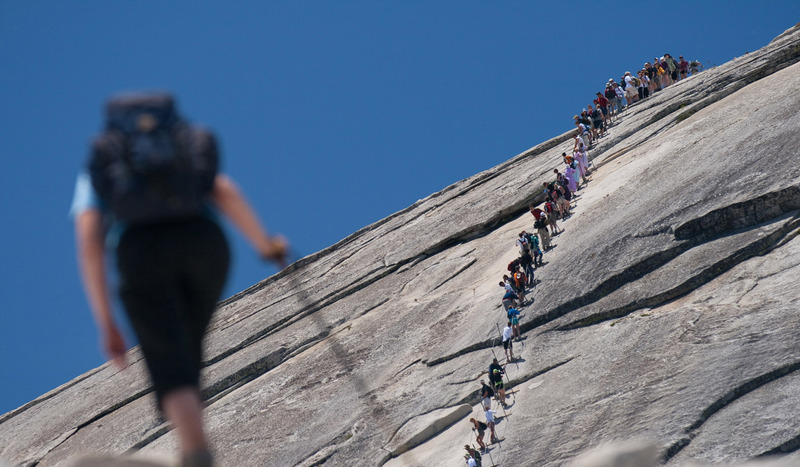 Hiking to Half Dome is so popular, even day hikers have to have a permit to hike the monolith, limiting the numbers of people hiking to the top. The difficulty of this hike increases significantly with your day hike up Half Dome. There are a few ways to access Half Dome on a backpacking trip and we recommend trying to get there via the lesser used trailheads. Glacier Point and Happy Isle are the easiest options, but also the most popular and have permits that are very difficult to get. The sample hike takes you off the beaten path to enjoy some less visited areas of the park – this means no paved trail where you might run into someone on a Segway and real hikers versus all the lookey-loos. It also means more time to experience the serenity of Yosemite and see the places not on Instagram. *Route Variation – Our specific hiking route and campsites on each departure are dependent upon permit availability. Difficulty of the hike will also vary based on the route change. 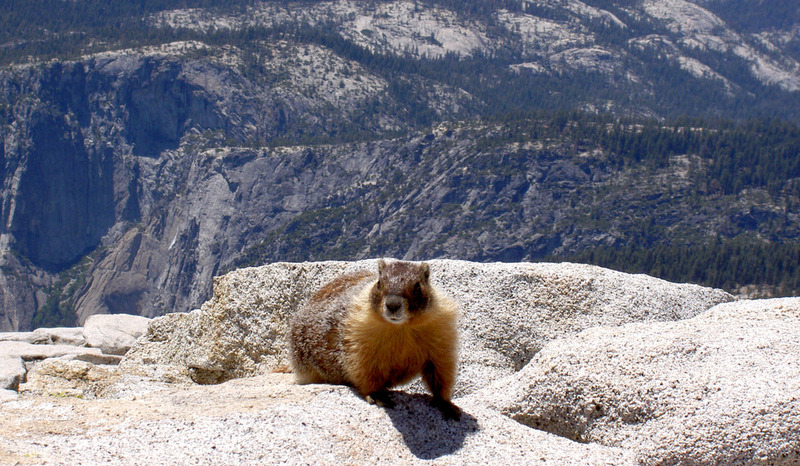 Additionally, the ascent up Half Dome is very challenging and is weather permitting. 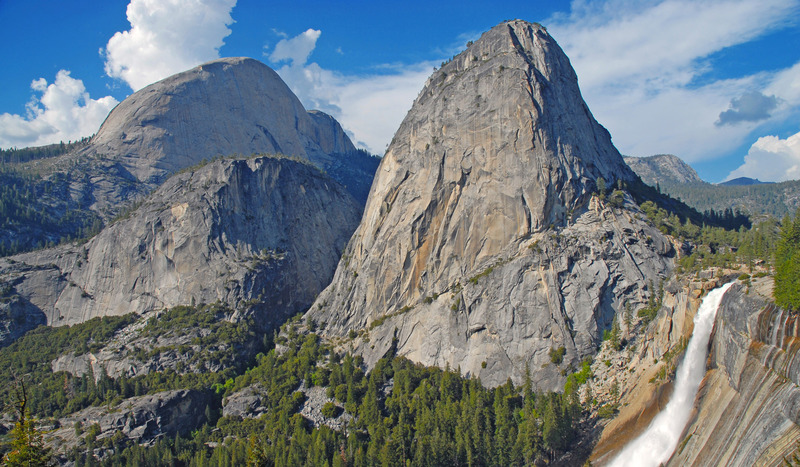 **Shuttle – the sample itinerary trip starts along Glacier Point Rd. If you do not have your own transportation and are taking YARTS, you will need to reserve space on the early Glacier Point Tour shuttle. Spaces are limited and there is a fee. If you are not sure how to get a permit or how to plan a route to anywhere in Yosemite, check out our DIY trip service. *Please note: Due to the high demand and limited supply of permits available for Half Dome camping areas, we recommend having flexibility in your dates and open to alternate camp areas. We also recommend planning this hike over 165 days in advance. Head for the Mono Meadow trailhead. We hike about 3.4 miles to Illilouette Creek for a night of camping off the beaten path to see Yosemite without all the people. Once at camp, there are some trails to explore for those wanting some additional hiking. Or, kick back by the fire and wait for the fire stomping Rhinos to show up. (That’s a joke. There are no fire stomping Rhinos in Yosemite). Today you pack up and move camp to the Little Yosemite Valley. Expect camp to have 50+ people but there is an option to get away from the people by hiking a bit further and camp away from everyone. The hike today is approximately 7 miles. 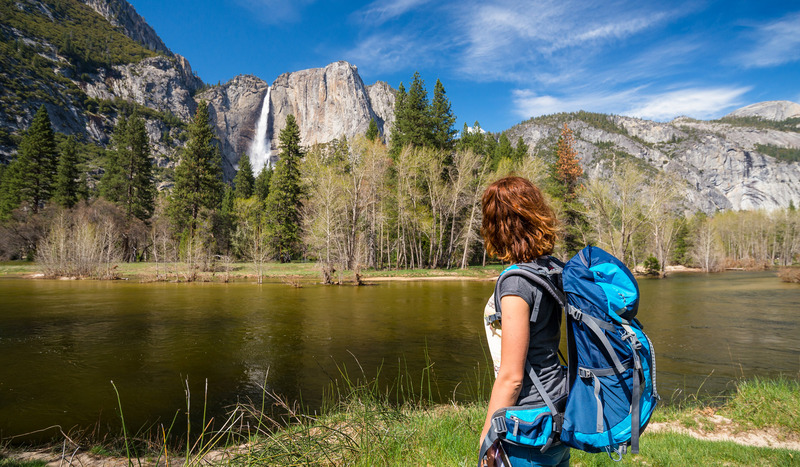 Once at camp, take a dip in the Merced River or take a side hike up the Merced River to Bunnell Cascade and Moraine Dome. Tomorrow is a long day up Half Dome, so best to get some rest! Get up early to ascend Half Dome before all the day hikers – enjoying the sunrise and the area before the crowds arrive, invading your views and tranquility. After the Half Dome hike (6.6 miles), you pack up and head to Glacier Point. It is a beautiful 7 mile hike along the Panorama trail to get outstanding views of Half Dome, Nevada Falls, and the surrounding area before you say goodbye to Yosemite’s backcountry.